Treat yourself with a wonderful vacation this summer for the year of hard work behind you. 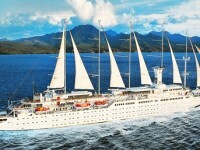 There is no better way to do that than booking a luxury cruise starting from Lisbon for $1,999 per person. Book by June 30 and save up to 70% on your Europe luxury cruise. 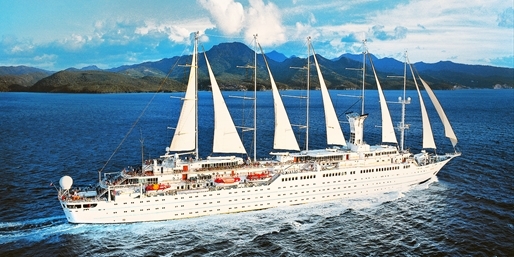 Discover the Atlantic coast of Europe onboard Windstar Cruise Line’s ship called Wind Surf. Our deal hunters have also found 7 nights Bermuda cruises from $949 per person, one week Alaska cruises from $599 pp or Bahamas cruises on Carnival from just $189 pp. Act now, before all cheap cruises sell out! This entry was posted on Tuesday, June 4th, 2013 at 3:26 am and is filed under Cruise Deals, Top Deals. You can follow any responses to this entry through the RSS 2.0 feed. You can leave a response, or trackback from your own site.